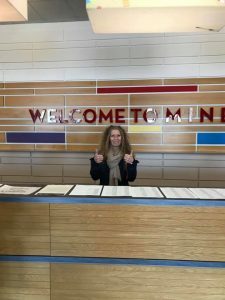 On a beautiful sunny March 27th 2019, Caroline and I attended the second Grand Day Out at Butlins in Minehead. This year the aim was to promote a wealth of issues and barriers faced by jobseekers through fun, informative and interactive challenges. 382 people attended including 131 Staff, 102 Employees, 91 from schools / colleges and 58 from providers. There were 104 interactive posters, 25 challenges, 4 Where’s Wallys and two musicians. The challenges included learning about: famous women through history, drugs and alcohol, depression, anorexia, Asperger’s, sign language, care leavers, homelessness, listening skills, inclusivity and many others. 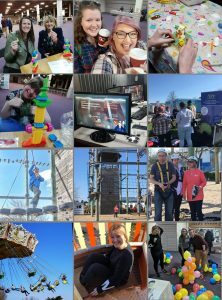 This was done via high ropes, basketball, football, bowling, the funfair, talking to musicians and our ‘Wallys’, carpool karaoke, quizzes, cake decorating, learning to listen with the Samaritans, going from sleeping bag to job interview whilst running from place to place collecting essential components and once again, so much more. Team scores were kept track of via QR codes and an App – which I finally got the hang of after initially not realising that we only had a few seconds to answer the questions, and then points were taken away from us! 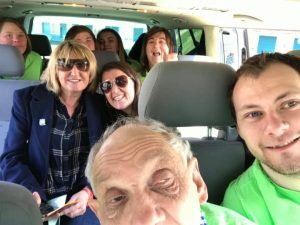 We attempted most of the activities but Carpool Karaoke was one of my favourites with Green Days Care Ltd. We all sang our hearts out to Abba’s Dancing Queen. Music really is a great way of communication – its inclusive, lifts moods and has that feel good factor which is infectious. Our cake decorating skills we put to the test by the Foxes Academy. Their achievements were inspiring and clearly show that disabilities are not inhibitors to success. We had a brilliant day and some of the tasks really made us think about how we will interact with some of our clients in the future.